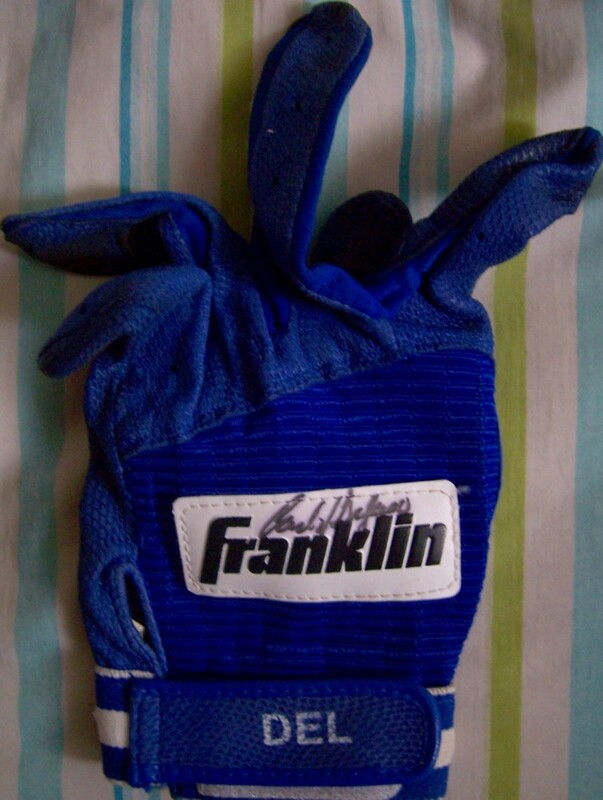 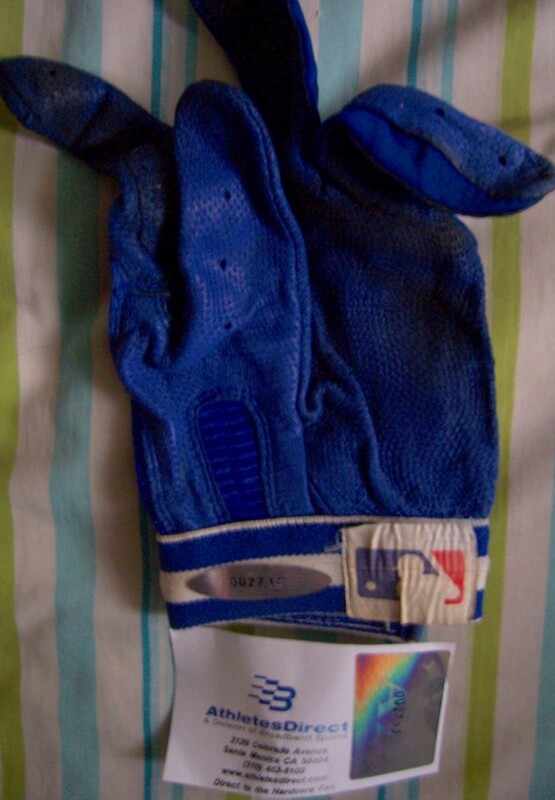 Carlos Delgado authentic Franklin game used or worn batting glove (from the late 1990s when he was with the Toronto Blue Jays) with his nickname DEL imprinted, autographed in black marker on the Franklin patch. 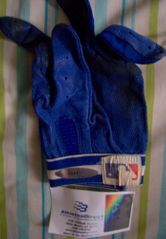 Authenticated by Athletes Direct, with their matching numbered holograms on the glove and authenticity card. ONLY ONE AVAILABLE FOR SALE.